Businesses on the Isle of Wight will show Defra Minister David Heath how Government funding has transformed the rural economy as he visits innovative businesses and farm cooperatives on the island today. 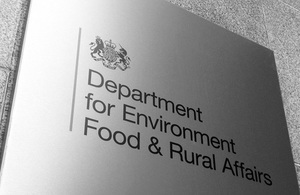 The Minister’s visit is part of a programme of fact-finding Rural Roadshows on which rural communities and businesses are able to speak directly to Defra Ministers and ensure their views are heard with Government. Kicking off his Rural Roadshow this morning, Mr Heath will listen to local community and business leaders about the issues faced in their region. His breakfast meeting will include regional representatives from the National Farmers Union, Local Enterprise Partnerships and the local council. Their insights will help to ensure that rural policies meet the real needs of rural communities and businesses. On his visit to Isle of Wight Dairy Group, David Heath will announce plans to help dairy farmers in England work together to get a better deal in the marketplace. Isle of Wight Dairy Group has led the way in the industry following funding from Defra’s Rural Development Programme for England to set up an innovative farm cooperative. The cooperative, which is the first of its kind in the country, brings together 17 of the island’s dairy farmers to produce and market Isle of Wight branded milk to around 30 retailers across the Isle of Wight, including supermarkets and local shops. During his Rural Roadshow, the Minister will see other examples of farmers coming together and benefitting from collaborative working. Isle of Wight Grain, which Mr Heath will visit, is a cooperative of local grain farmers who have received a £100,000 Defra grant to store, process, market and ship grain, reducing costs and increasing profits for the farmers involved. Mr Heath will hear firsthand from Laurence Mitchell Jewellery in Yarmouth of the difference that faster broadband is making to the prospects of rural businesses. Since the community received a £90,000 grant from Defra for rural broadband, the business has set up its own website, expanding its market to the mainland and supporting the local economy. “Rural Roadshows give me the chance to learn as much as I can about the opportunities and challenges of running a business in a remote location. “I’m looking forward to finding out more about how the people who live and work on the Isle of Wight are pooling their expertise to promote the island and develop the local economy. At Yarmouth Harbour, the Minister will hear about the long term economic benefits of Defra’s £100,000 investment in new visitor berths. Increased capacity for visitors to the island will have positive knock-on effects for local trade and tourism and is expected to add almost £200,000 to the local economy. All Defra ministers are going on a series of Rural Roadshows all around the country. The Rural Roadshows allow ministers to hear firsthand about rural issues from communities and businesses, learning about successes and challenges and discovering what help is needed in order to support rural growth and jobs. The direct access to ministers will help ensure that rural England has a strong voice at the heart of Government. Track the course of Defra Rural Roadshows at Google Map - Defra Rural Roadshows. Photos from Rural Roadshows are available on Flickr at Rural Roadshows.